The Weekly Essential is designed to introduce Essential Oils and their uses. Join the blog to keep up with Weekly updates. Their are weekly webinars for continuing education, recipes, fun things to do with Essential Oils. How my family and I enjoy all natural essential oils for physical and emotional healing. Join the journey of Natural Health Care and Enjoy life. My journey in life as a stay at home mom of three, building a career and being a caregiver to my mother and husband after a horrible tragedy. 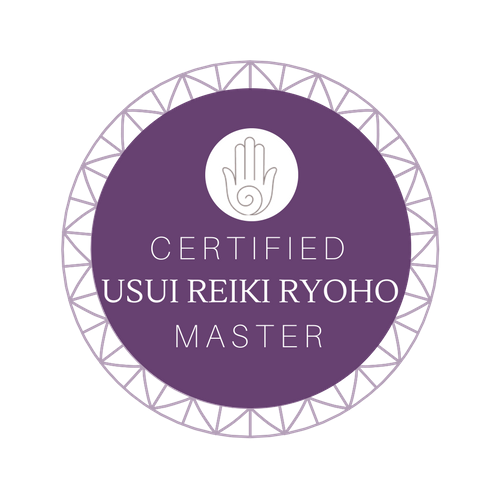 Balancing life and the journey of tragedy, love and faith, family connection and healing physically and mentally. Contact me on the Weekly Essential face book page or feel free to email me if you would like to know more if you are looking for support and a lifestyle change, how to survive the unexpected in life and how to love yourself and life again please book an appointment with me or email me at kollette@weeklyessential.com. Facetime and Skype appointments available as well. Essential oils not only changed my life but helped me be prepared for the unexpected and they were and still are a great tool for my family and I both physically and mentally. The Copaiba has been a great addition to our essential oil collection, we are so grateful to doterra for bringing us this oil. We use it daily in our water or rubbing it on our necks topically. I use it on my mother and have her drink it in her water. My mother suffers from Dementia. I also do the same with my husband who suffers from a Brain Injury. I love it in my water, but mostly use it on neck and shoulders. It really helps with anxious feelings so I love to diffuse into the air with Frankincense. I rub it on my children’s necks before sending them off to school. See my blog post on our experiment with my kids. For those of you who are CBD oil lovers, I invite you to try the Copiaba oil! Below I will explain CBD vs. Copaiba. We are EXCITED to have this oil in our home because it is powerful for our brains and nervous systems. 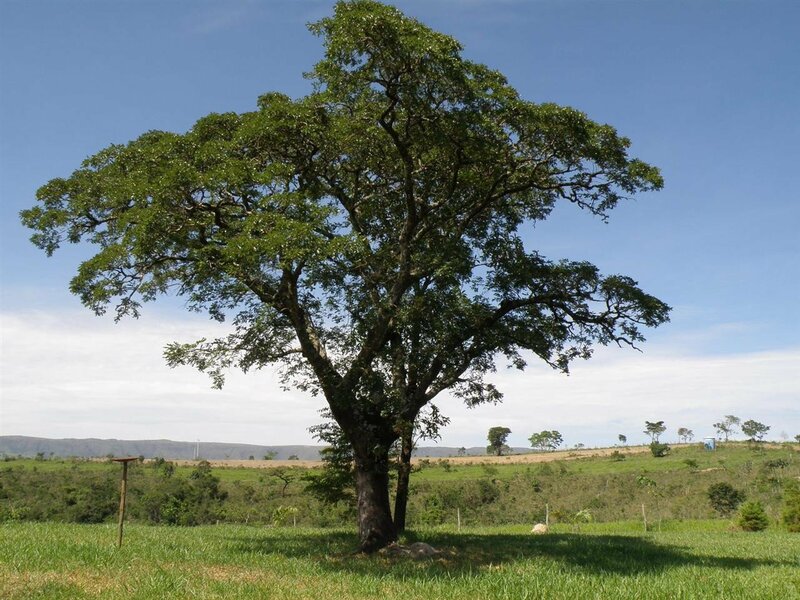 Copaiba is extracted from copaiba trees in the Amazon rainforest. The essential oil is steam distilled from the copaiba oleoresin, a substance made up of resin and essential oils. The collection process of the oleoresin is unique among essential oils—it is tapped from the tree in a similar way to how maple trees are for their syrup. The oleoresin is then steam distilled to produce the essential oil. THC: THC, or TetraHydroCannabinol, is also a naturally occurring compound in the cannabis plant. This is the party of the plant that makes people feel high when they smoke marijuana or use products that contain THC. Supplements that contain THC are only legal in a few states. THC resembles another cannabinoid naturally produced in our brains, anandamide, which regulates our mood, sleep, memory, and appetite. (source) Hence the reason THC makes you relaxed … and hungry. BCP: BCP, or Beta-CaryoPhyllene, is the dietary cannabinoid found in doTERRA’s Copaiba oil. Not only is it in Copaiba essential oil its in doTERRA’s in very high amounts – 60%!!! While this is a different type of cannabinoid than CBD it directly affects the same CB2 receptors in amazing ways and is present in a much higher amount. It’s also found in lower levels in other essential oils, in lower amounts, like Black Pepper and Melissa. We all have cannabinoid receptors in our bodies and they are super important. They are found all over the body, in the brain, organs, tissues, glands and immune cells. In each tissue, the cannabinoid system performs different tasks, but the goal is always the same: homeostasis. We have two different types of receptors – CB1 and CB2. The CB1 receptors are the ones that THC interacts with and causes psychotropic effects. The CB2 receptors are the ones that do not make you “high” when affected. 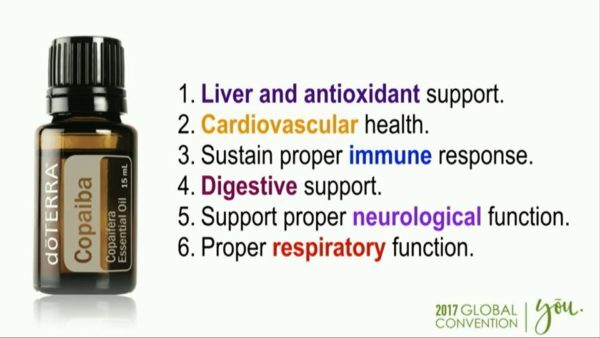 These are the target when using CBD oil and Copaiba essential oil. CBD actually indirectly interacts with CB2 receptors while the main constituent of Copaiba interacts directly. CB2 receptors are found mostly in the immune system, and they seem to reduce inflammation and certain kinds of pain. In Summery CBD vs Copaiba oil. Copaiba is ..
DoTERRA does more testing than any other company in the world. So you know it is free of pesticides, heavy metals and contaminants. 1. Keep your skin clear and clean while reducing the appearance of blemishes by adding Copaiba to your toner or by applying it directly to skin before applying moisturizer. 2. Copaiba blends well with Roman Chamomile, Cedarwood, Sandalwood, Frankincense, or Ylang Ylang. Using any of these oils that appeal to you, create your own personal fragrance in a roller bottle, and then fill the rest of the bottle with Fractionated Coconut Oil. 3. 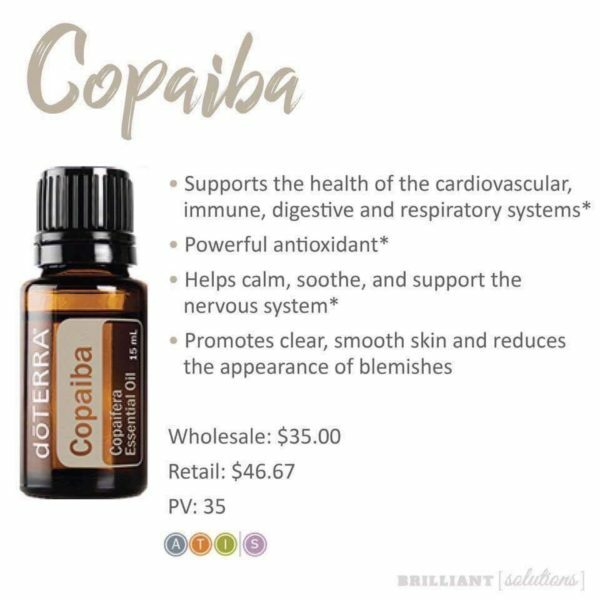 Most of the body can benefit from Copaiba—it supports the cardiovascular, immune, digestive, nervous, and immune system. * To take advantage of these benefits for any of these systems, add one to two drops to water, juice, or make your own tea using warm water and honey. 4. When you’re facing a stressful day ahead or feeling worried, diffusing Copaiba’s woody scent can help calm any anxious feelings you may be experiencing. 6. Use in a calming bath by adding two to three drops to body wash before mixing it in the water. Interested in trying Copaiba essential oil? Click on this link to purchase. To Learn more about essential oils Click Here. If you are having success with Copaiba let me know below! Stay Healthy and Stress Free for the Holidays! Disclaimer. The purpose of this information is education people about essential oils. Nothing contained in this information should be construed as, nor is intended to be used for, medical diagnosis or treatment. This information should not be used in place of the advice of your physician or other qualified health care provider. Should you have any health care related questions please call or see your physician or other qualified health care provider promptly. Always consult with your physician or other qualified health care provider before using essential oils. These statements have not been evaluated by the Food and Drug Administration. These products are not intended to diagnose, treat, cure or prevent disease. 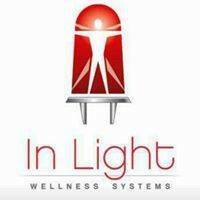 Weekly Essential LLC websites are licensed and authorized by dōTERRA Holdings, LLC. These statements have not been evaluated by the Food and Drug Administration. These product is not intended to diagnose, treat, cure or prevent disease. On all of these posts or pages. Copyright © 2010-18 Weekly Essential LLC . Ethereal theme. Theme images by konradlew. Powered by Blogger.